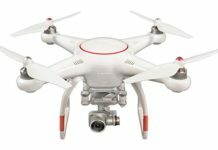 3.1 Must I register my drone with FAA? 3.2 What should I avoid when flying my drone? 3.3 What happens if I hurt someone with my drone? Wherein another area that they can be used is for leisure/play time on the part of kids. 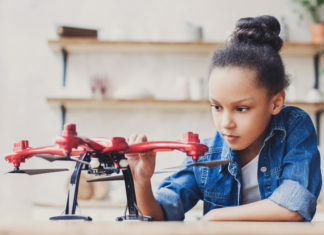 Still, when selecting a drone for kids, the safety of the user, the complexities of the flight controller, the cost—incase of early damage due to inexperience, the ease of installation, the durability, and the features would need to be considered. 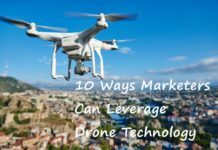 The Unmanned Aerial Vehicle (UAV) market has been growing at an impressive rate in the last few years. Forecasts show that the drone technology market is set to grow at an even faster rate in the next few years. Drones come in various forms now, having all sorts of capabilities. Some drones have a fixed wing, some have a single rotor and there are the multi-rotor types. There are drones that are as small as an insect, some are of medium size and then others are far bigger. Also, the drones in question could come pre-assembled or you would have to assemble them yourself. That said, drones can be used for racing during leisure; they can also provide nice angles and aerial shots in personal or professional photography. 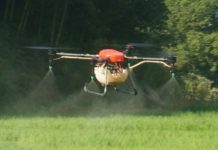 The unmanned systems are being deployed in deliveries of goods and as GPS drones. 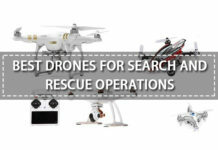 Additionally, they have aided search and rescue programs and continue to have more applications in modern life. Wherein another area that they can be used is for leisure/play time on the part of kids. Still, when selecting a drone for a kid, the safety of the user, the complexities of the flight controller, the cost—incase of early damage due to inexperience, the ease of installation, the durability, and the features would need to be considered. 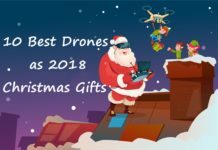 In light of that, we have below, which is a list of some of the best drones available for kids or those still new to flying them. In light of that, we have below, which is a list of some of the best drones available for kids or those still new to flying them. This is a highly rated product from Holy Stone due to the fine blend of features at a relatively cheap price. The device comes in different flight modes: kids to advanced, suiting the different experience levels. The quadcopter also comes with blades at a different angle so they have to be installed just right. As a little kid, you would like the cushioning feature on the base of the drone. It limits the damages due to frequent or poor landing. The design of the device also ensures the impact on the wall and/or ceiling is reduced due to the curved propeller guards. This makes Holy Stone HS170 drone flyable indoors and outdoors. Even if this is your first time getting a drone, the packaging and easy to understand instructions would make the experience seamless. The battery is removable, so it can be replaced when the old one degrades over time. As a continuation to that, you could buy extra batteries and swap when the 6-8 minutes flight time is exhausted. With that point made, batteries take less than an hour to recharge. There are three speed levels: the slow, medium, and fast. The slow mode is perfect for first-time users. 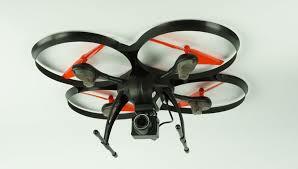 And the higher modes, you can move to them as you get more experience with flying the drone. 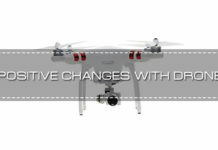 The UAV also has the headless mode feature, which allows you some leeway when it concerns the orientation of the drone. The controller has a throttle for up and down movements while a lever controls flight to the left and right. The drone can do mid-air flips and can tilt to either side when prompted by the controller. There is a button to turn the light on and off and the return-to-home feature works excellently—since it ensures an excellent experience for beginners (specifically, kids). 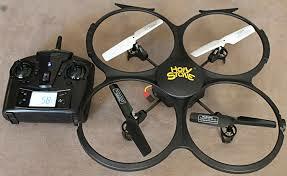 The Holy Stone HS170 quadcopter comes with a remote controller, one 3.7v 350mAh Li-ion battery with four spare blades. The package includes a user manual, one USB charger, and a screwdriver all at an affordable price. 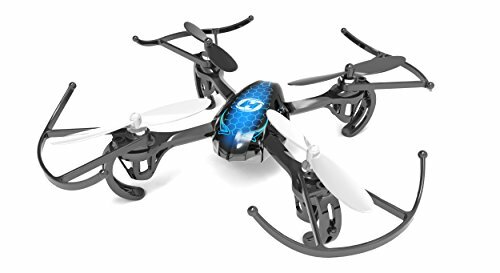 You would not regret getting this drone since it’s easy to control, flies very well, and is quite fast, depending on speed selection. Also, it responds very well to all controls and is rugged—which is an advantage that parents will appreciate. 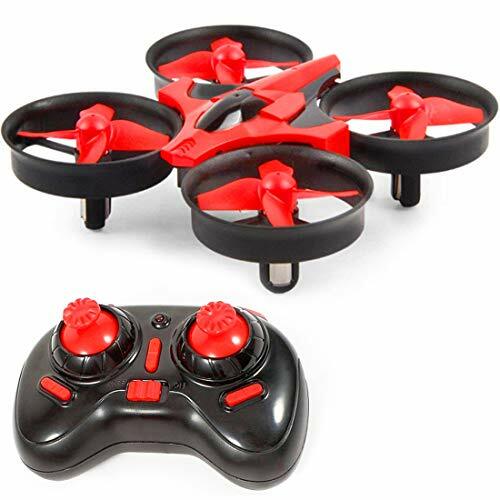 Nonetheless, the controller is somewhat of a letdown since it’s a bit bulky but as it remains one of the best drones out there for kids, and experts, that complaint is all but moot. 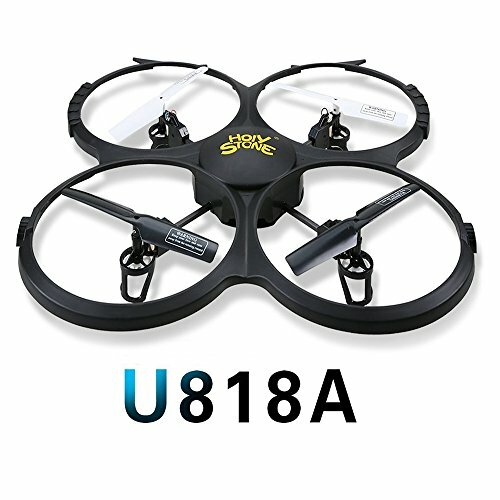 The Holy Stone U818A is a ready to fly quadcopter. It is a lightweight drone with a forward facing 720p HD camera. There are no hassles of installation as it is pre-assembled for you. All you need to do is charge the drone and controller, pair them following the instruction manual and it is ready for use. 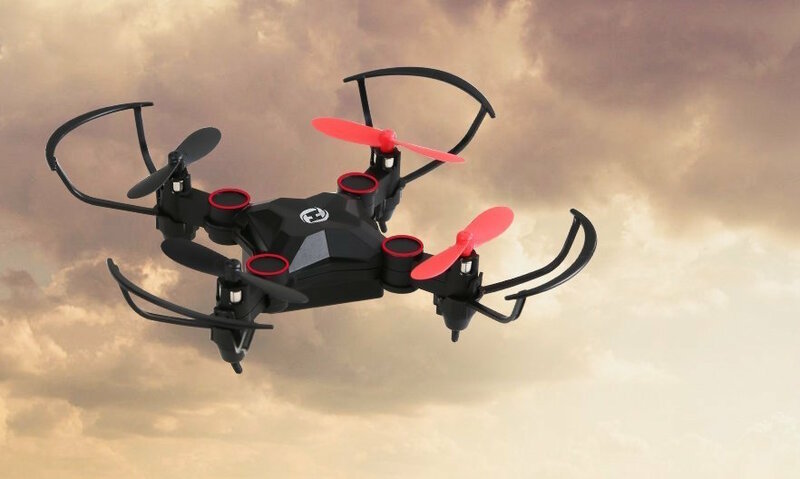 The 6-Axis Gyro Stability System ensure the flight is stable and supports the flip and roll feature. Then there is the headless navigation mode that supports user control and eases concerns about the direction of the drone. It is a strong drone that has a rigid plastic protective frame to support the propellers during flight and help against collision. Moving on, the HD camera allows you to take high-resolution aerial shots that are recorded on the removable micro SD card. There is an LCD screen on the 2.4 GHz transmitter from where you can see the full flight status. The 500mAh battery takes 90-120 minutes to charge and can power a flight time of 8-9 minutes. With the extra battery, you can always swap both to lengthen the lifespan. Finally, there is a low battery alarm feature that warns you to round off on-time. The Holy Stone U818A is moderately priced considering that it comes with an HD camera and loads of features. Still, budget differs from one individual to the other and you might want to consider the alternatives on the list. This is one of the best cameras enabled budget drones in the market. It comes pre-assembled and ready to use, with most of the features you can imagine on budget drones. Also, you can make videos and take pictures for use later but sadly, you cannot watch them in real time. This is a budget-friendly mini-drone for kids. 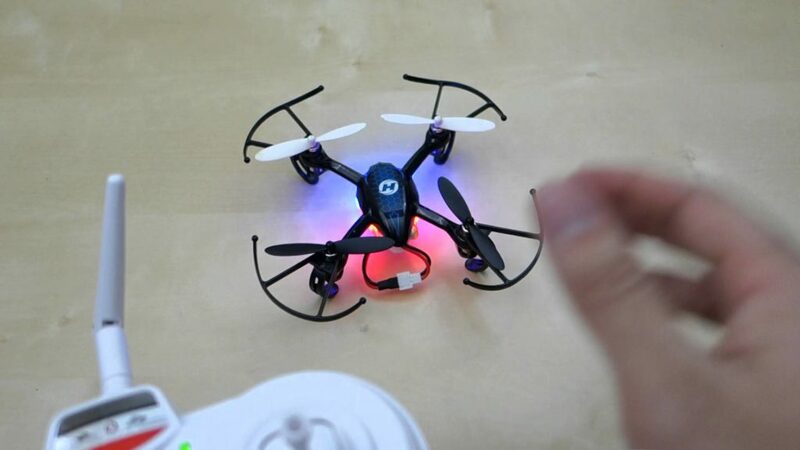 The small drone has two LEDs and a small capacity battery (150mAh), comparable to other mini-drones. The battery lasts up to five minutes after charging for about 45 minutes. Nonetheless, the limited capacity of the battery is compensated with a removable battery so an extra pair can lengthen flight time. 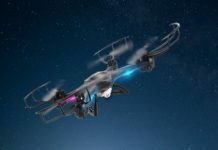 Despite it being a mini-drone, its flight range of up to 30 meters is impressive and that aids the versatility and user experience in the long run. The drone has most of the features of one in its category—like the headless modes, 360° flip and roll, one key return, and a compass mode. Wherein the latter allows the device to align with a change in direction of the remote control. Also, the LED light helps in identification of the front and back which is important during night use. 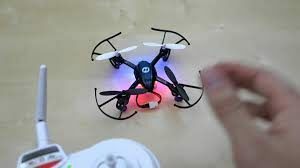 On the part of speed, the drone has different modes and one of them is the slow mode which helps kids and is safe for indoor use. Nevertheless, it can be easily affected by the wind in the slow mode—but luckily, switching it to the fast mode increases the performance. The E010 mini-drone is relatively cheap even when compared to others on this list. It is a very good recommendation for little kids. The affordability is just a big plus. The E010 mini-drone is a product designed with performance and affordability in mind. It is perfect for kids and can be the right introduction to drone technology for anyone. Still, the battery capacity is underwhelming but fortunately, you can swap out batteries at a moment’s notice. 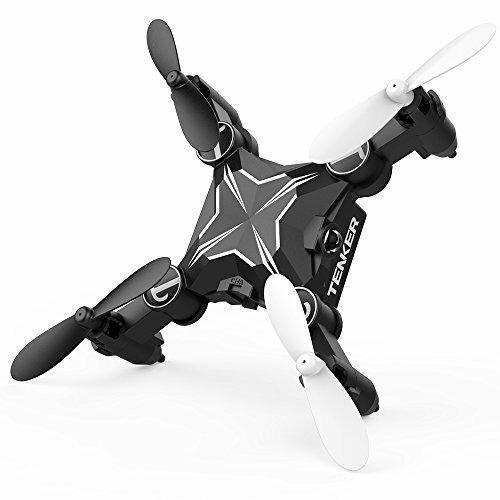 The Tenker Skyracer mini-drone incorporates the altitude hold function to a number of features common in budget drones. The function ensures the unmanned device can hover around a certain height, easing concern from the user. Also, it has a self-rotation feature, meaning it will move in a circular path around a certain target. It distinguishes itself further from the pack with its foldable and easy to carry feature. In other words, the mini quadcopter can be folded into the controller, making it easy to carry. The design supports kids and another sign of such compatibility is the option of 3 speed modes that can be adjusted as needed. The lightweight drone requires five minutes between flights so the motors cool down and the battery recharged. And it takes about 30-40 minutes to recharge the battery. The package includes the controller, 4 spare propellers and 4 propeller guards, 1 Propeller crowbar, a USB charger, a screwdriver, and one user manual. 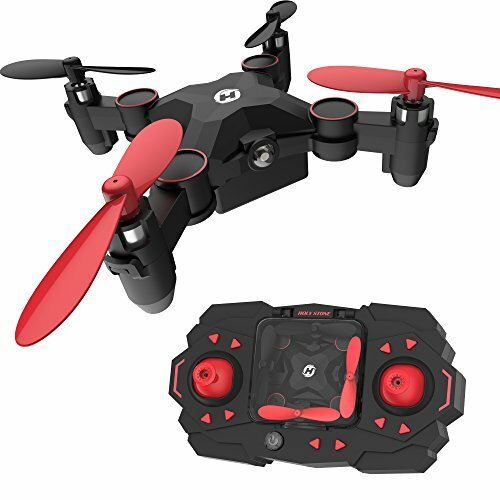 This is a pocket-friendly UAV and surprisingly, it has an impressive design concept and is loaded with features that your kid will appreciate. This is a sturdy mini helicopter with a lot of features. One of which is its ability to hover slightly above the ground—which kids will definitely enjoy using. The easy to carry feature is also a major plus aside being very affordable. The Holy Stone HS190 is a compact mini-drone with motor arms that are collapsible. The foldability endeared the design to many as it is easy to carry about. 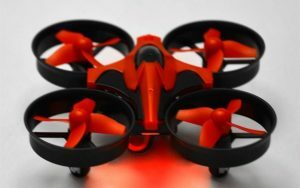 That point made, this is a mini-drone without a camera—though, the fact that it is sturdy, moderately priced, and has good aesthetics slightly make up for that. The device has a decent flight time of six minutes, taking 40 minutes to recharge using a built-in charger. However, the battery is inbuilt so it does not come with an extra. 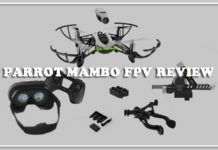 The range is 50 meters and it has the basic features of a regular mini-drone such as one button takeoff and landing, 3 speed modes, 3D flip, and roll etc. 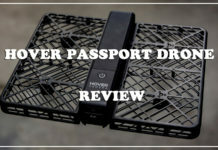 The package has a spare propeller, 4 propeller guards, one propeller crowbar, one screwdriver, and a user manual aside the transmitter and mini-drone. The transmitter requires four AAA batteries and it is responsive. And there is a new unlock feature to protect against accidental flight. 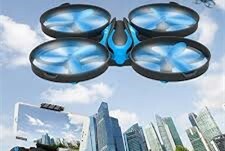 For a regular mini-drone without a camera, it is moderately priced. And that will entice lots of users since needs are always different. The HS 190 drone played with a number of features, tweaks, and colour combo that you would like. The compactness and pocket-friendly price are other advantages that you should consider. 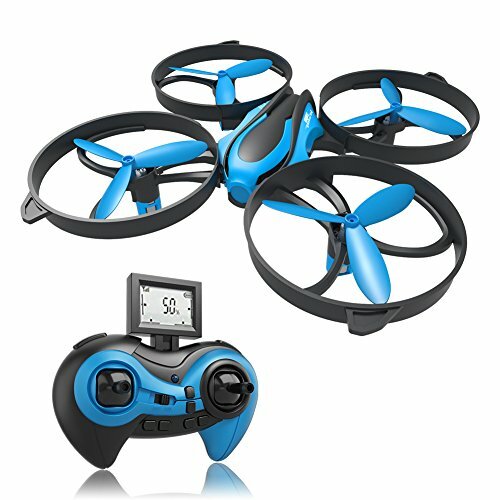 The Force1 U49C drone comes with an HD camera that accommodates a design that is simple enough to accommodate kids and experts. The flight time is extended (up to 15 minutes) and it comes with an extra battery, making it suitable for professional applications. Another instance of such application is that it can provide 30 minutes of uninterrupted HD aerial shots that save to the micro SD card. 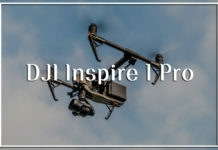 The package includes the camera-fitted drone, the transmitter, two 7.4v 1000mAh Li-Po batteries, a USB cable, an SD card, 4 extra propellers, asides other drone tools. Continuing, there is a rubber shock absorber to ensure stability during photo or video capture. Additionally, the UAV has many easy to fly features such as the 3 speed modes, altitude hold, headless navigation mode, one key start and stop, flip and roll etc. The U49C drone has a better camera than most of its peers. Regardless, the price is a bit high and various buyers might be turned off. The Force1 U249C Red Heron is an excellent choice for amateurs and professionals. It is also a bit pricey and depending on your budget, you might be able to give this a buy or you might want to check the alternatives. The Halo 3000 drone is in between a budget drone and a professional one. To go in-depth, it does not have a camera but it combines well the features of smaller unmanned devices. The product is very light and the streamline design helps it accelerate well mid-air. It also flies very well in the night with the LED lights helping for easy maneuverability. The drone flies for 5-7 minutes using the follow come 3.7V Lithium battery or the extra that comes with the package. The package also has a set of 4 propellers, a remote control, and an instruction manual. It is great for young children who would be enticed by the glow in the dark LED feature, especially when doing the flip and roll. It is of decent strength and so, can withstand crashes to an extent. The machine is moderately priced considering the features it has. Nonetheless, it’s not particularly suitable for individuals on a tight budget. 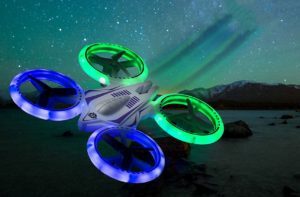 The Halo quadcopter’s outstanding feature is the LED light lining. It is also quite fast and the fact that it is moderately priced for its features is a huge incentive. The RCtown ELF II drone has a very stable flight system that helps it withstand harsher weather conditions compared to its peers. It has the modern 6-axis 4CH flight control with a 3D lock. This, in turn, allows for easy control by any user (kids and pros). 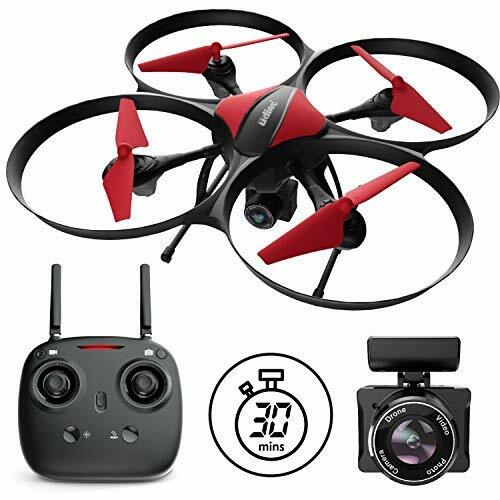 Additionally, the drone comes with the full package such as the 3d flip, one key return and landing, and the wireless remote control using the transmitter. 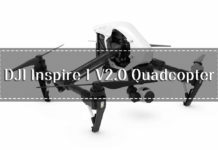 The 2.4 GHz controller comes with the package that includes 1 screwdriver, a user manual, 4 spare propellers, one USB charger, a single 3.7V 600mAh Li-Po battery, and the quadcopter itself. The controller itself has a LED display where you can read signals. 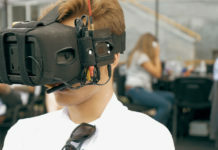 The device is made using ABS materials, increasing its durability. This is especially useful in the case of kids who naturally like to play rough. Moving on to the battery, it takes about an hour to charge while flight time is 6-7 minutes. It covers the medium range of 30-50 meters. This device is cheap considering the features it comes with. It combines elegance and decent capabilities yet remains very affordable. The DoDoeleph Syma is a great option for parents who want to share their love of drones with kids and let them have their own droning fun. 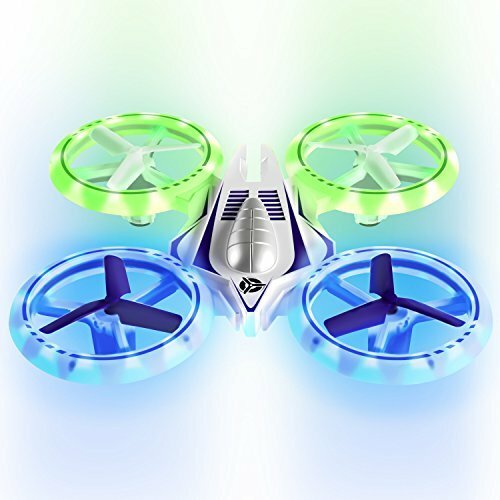 We like this drone for kids because of the flashing lights that turn on in the dark. 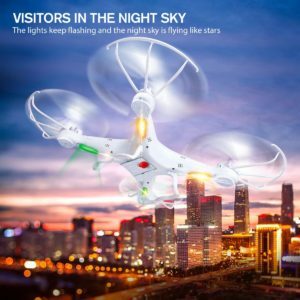 While it is sometimes hard to use more robust drones in the dark because of the lack of lighting, this little drone has a colorful lighting system that flashes different colors, making it even more fun for kids to play with day or night. The battery system takes about an hour and a half to charge using the included USB charger, and it only runs for about 7 minutes at top speeds. So while you won’t get to spend all afternoon or evening playing with the drone, your kids will love how cool it is. 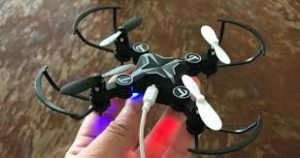 This drone doesn’t require you to hook up a smartphone for use, so it’s okay for kids to use it without damaging your phone. The remote control looks like something you might find in a radio car box from the 80s, but it gets the job done. The drone can do a number of neat tricks including a continuous rolling action for loads of entertainment and fun. It’s ready to use right out of the box, so you don’t need to spend any time getting it ready – your kid will appreciate that they don’t need to wait for it to charge. 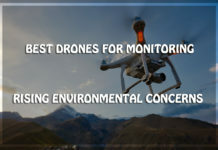 It has 4 propeller blades that are protected by plastic circles so that they don’t get interrupted if the drone accidentally hits something or comes into contact with an object. The max flight time for this drone is about 7 minutes, and it can reach about 50 m away from the user before it stops communicating with the remote control. One thing that is important to note is that the manufacturer has suggested not using a different USB charger, even if it fits in the battery pack system because it can damage the battery. We’re not sure how we feel about them yet because USBs are supposed to be, well, universal. So that might be something to consider if you are someone who loses their chargers on a regular basis. Also, there is no camera on this drone. It’s for flying and doing tricks. Otherwise, this is a great entry-level drone for kids, and they’ll love flying high in the sky. In deciding the best drones in the market suitable for kids, we looked at several factors in our analysis. 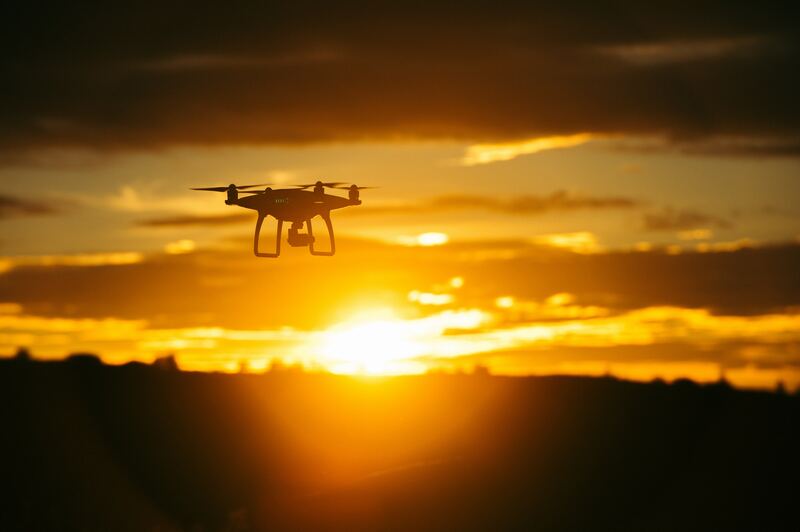 We researched broadly based on users’ reviews, top thought leadership reviews aside our experience in drone technology over the years. We tested our findings and selected this lot based on the factors below. UAVs generally come with varying complexities so we considered those that are easy to fly. Some drones could have really amazing capabilities but they might also require some sort of training to properly fly and maintain them. For kids as a whole, preference was given to easily installed and ready to fly machines. Alternatively, only kid-friendly devices were considered. 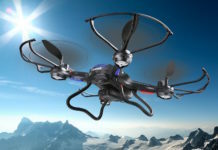 The features on the drones are linked proportionally to the cost price. Unmanned devices with camera and video capabilities were more expensive than the budget drones. However, a major consideration was the relative cost of the device, considering the features it had. 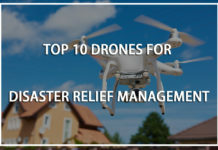 Some drones with limited features were not sturdy yet expensive; some others had a decent blend of features, sturdy, and yet affordable – so it was easy to sort. We only looked at top-rated brands that had been purchased, tested and trusted. While some of the brands are still developing, they must have passed basic trust test while their products deemed worthy before we considered. 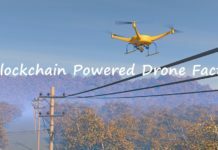 Must I register my drone with FAA? Most of these drones are under-55 lbs so they do not qualify to be registered with the Federal Aviation Administration (FAA). What should I avoid when flying my drone? Though it can be very fun flying your machines indoors and outdoors. Still, there are some things you need to avoid. Ensure you do not fly your devices near airports as it could be dangerous. The flight height should not exceed 120 meters, making sure the drones do not have people or property. There are some zones that are restricted eg. Military zones, public utilities etc. Note the No Fly Zones and stick to the rules. What happens if I hurt someone with my drone? Just as every other thing in life, you apologize profusely. If you injured or spoilt anything – this is very rare due to the light weight of the devices, try and remedy the situation. Always ensure you have your device in your direct line of sight. 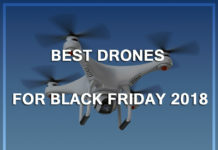 Thanks for this list, my child has been wanting to get a drone. Price and safety are the first few things I need to consider. 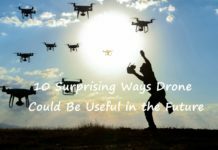 This is a helpful article, I’ve been researching what drone to get for my kid. 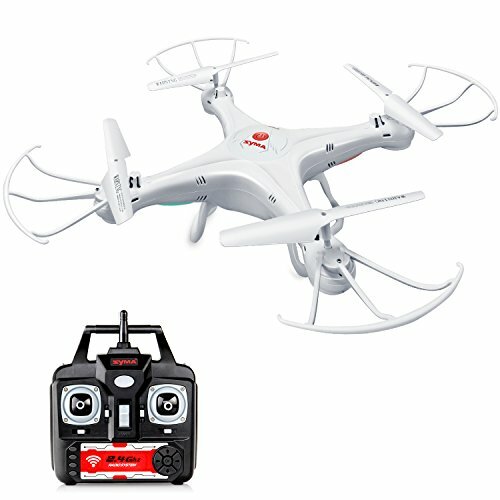 Thanks for the help in sharing these list of drones, I know what to buy for my little cousin for his birthday. My kid would like to have a drone and I don’t want to spend much for it. Thank you for these article it really helps. I’m sure most parents will agree that children, whatever their age, often work an iPad or games console far better than most adults! So don’t be surprised if they learn to fly much faster than you! 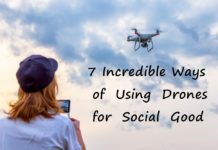 You may even spark an everlasting enthusiasm, without further ado here are the top 12 of what we consider the best drone for kids.